Rich Martin Homes > The Heights & Greater Heights > Houston Heights Homes for Sale > Heights New Home Construction – Part 3 – Complete! 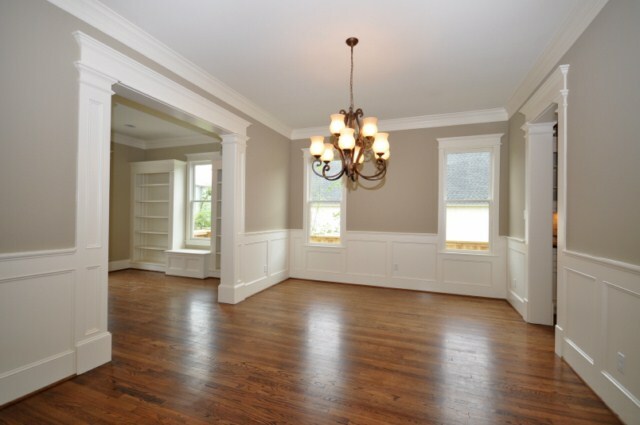 This room looks so much better without ladders, drop cloths & tools all over. In part 1 and part 2 of Heights New House Construction Process, I gave a rough outline of how a Heights Pier & Beam house is constructed. This final post just shows the (almost) finished product. The house looks rough during painting, even after granite, tile and fixtures are in. It’s still a construction site. 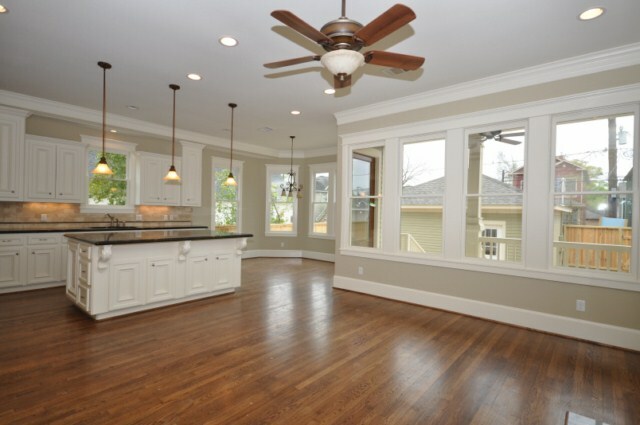 However, when the reclaimed oak floors are sanded, stained and sealed, a transformation occurs. Turning on electricity, uncovering fixtures, cleaning up sanding dust, grout, transforms the house! 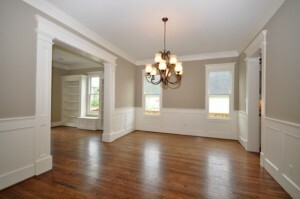 Dining Room shows some of the trim and box wainscoting detail. 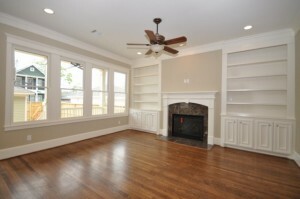 The Ansari Homes new construction in Houston Heights have reached this stage of completion. Compare the photos on the previous posts to these photos. « Lazybrook & Timbergrove, Where $300K Buys a Much Bigger House Than The Heights.